Granny squares made by Lis Hanggraheni. 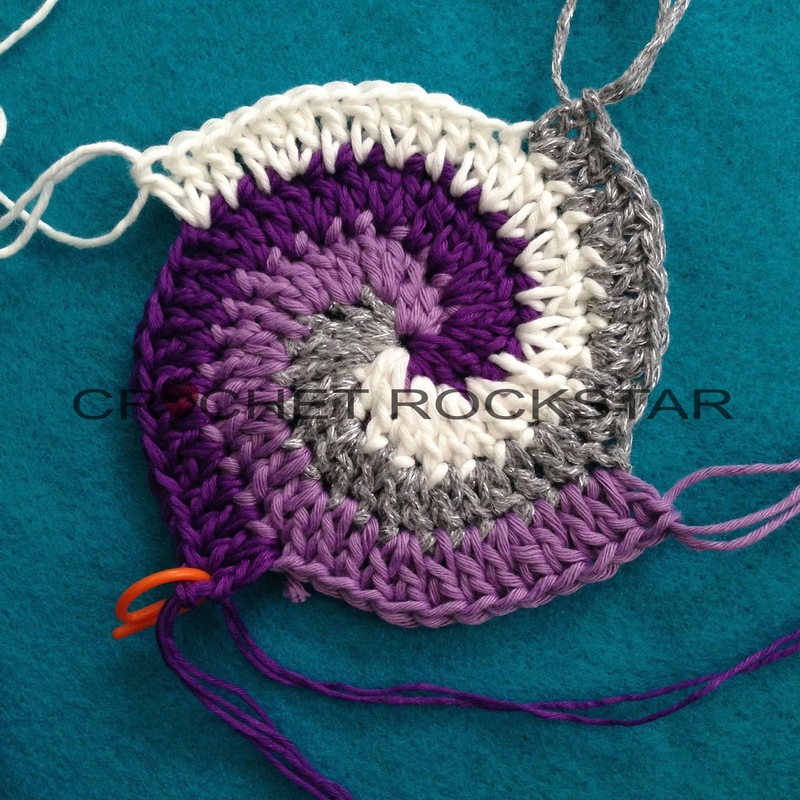 I have been wanting to learn how to make this spiral crochet for ages. I tried it and gave up because I didn’t understand how to read the pattern very well at that time. After seeing an image in an afghan and read the instruction thoroughly now I get the idea. Here below I was experimenting using four colors. I posted a request to people in a group if they have done the same thing. What came out was remarkable. 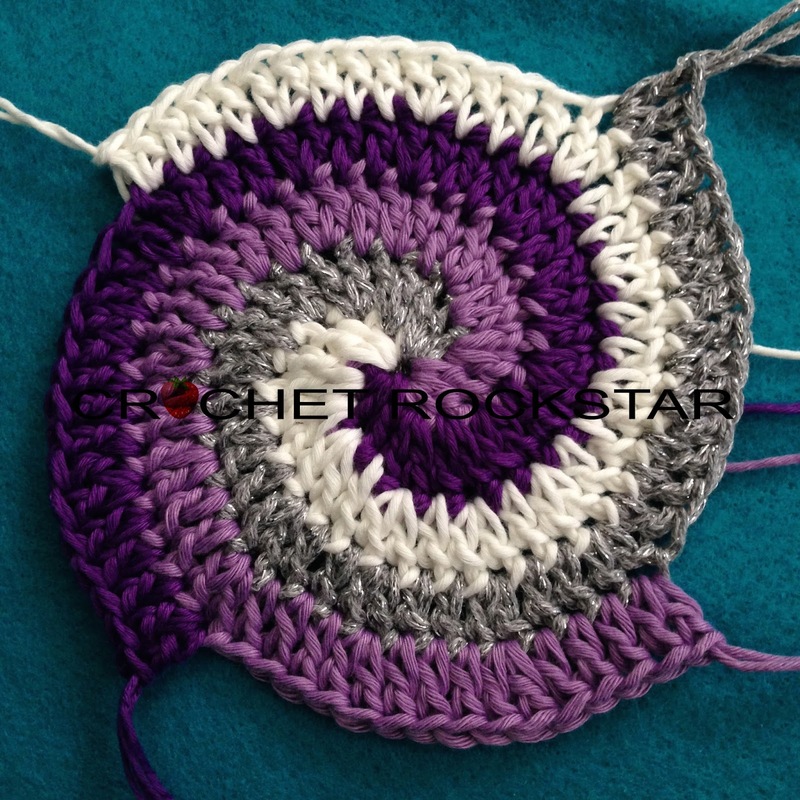 I learned that you can actually create this using as many colors as you like to make a spiral rainbow. The one I made below started with 12 stitches. 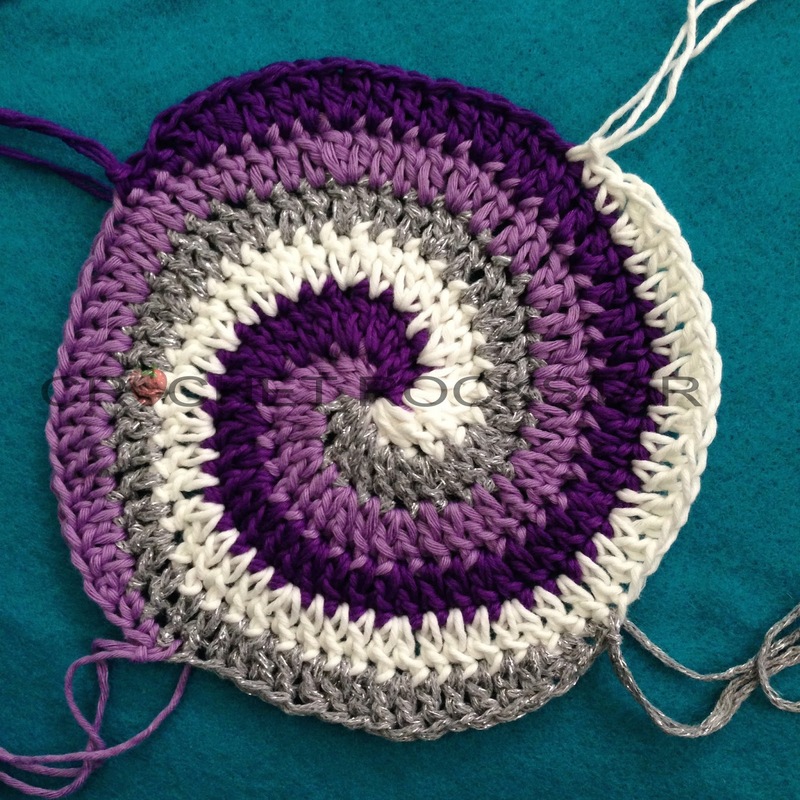 Here below are step by step pictures of the spiral up to round 6. At the bottom of this post are some fabulous photos I found on the internet with the link to the original photos for your inspirations only. Please respect the copyright of the person who own it and read carefully before distributing the pictures in any way. Notes: Do not cut yarn unless otherwise stated. 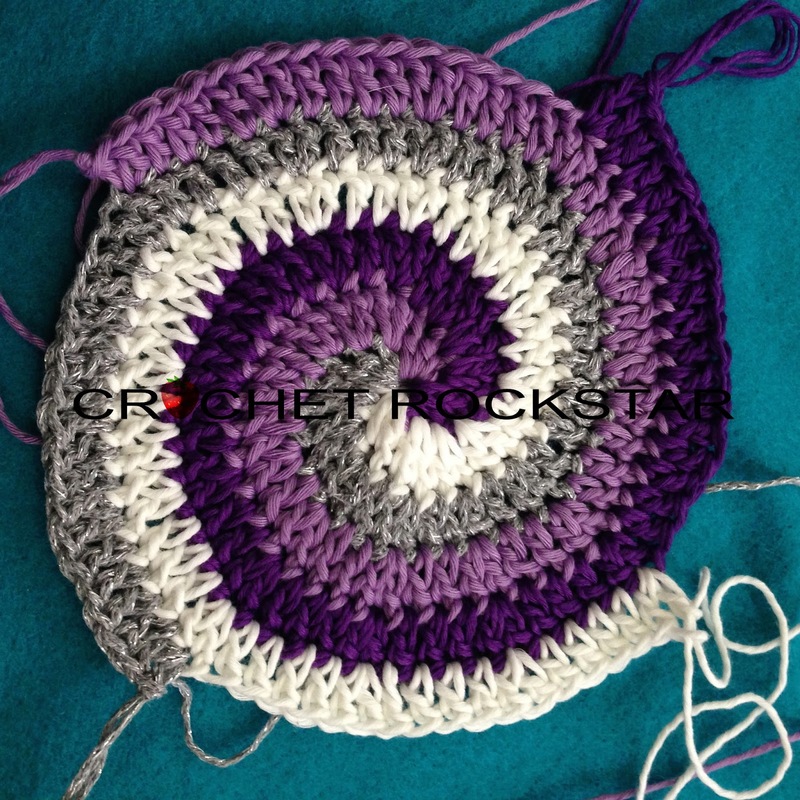 To start a new single crochet: yo, insert hook in next st, pull through 2 loops. Elongate the last loop about 20 cm or place marker to hold the loop. Do not turn and do not join after each round. 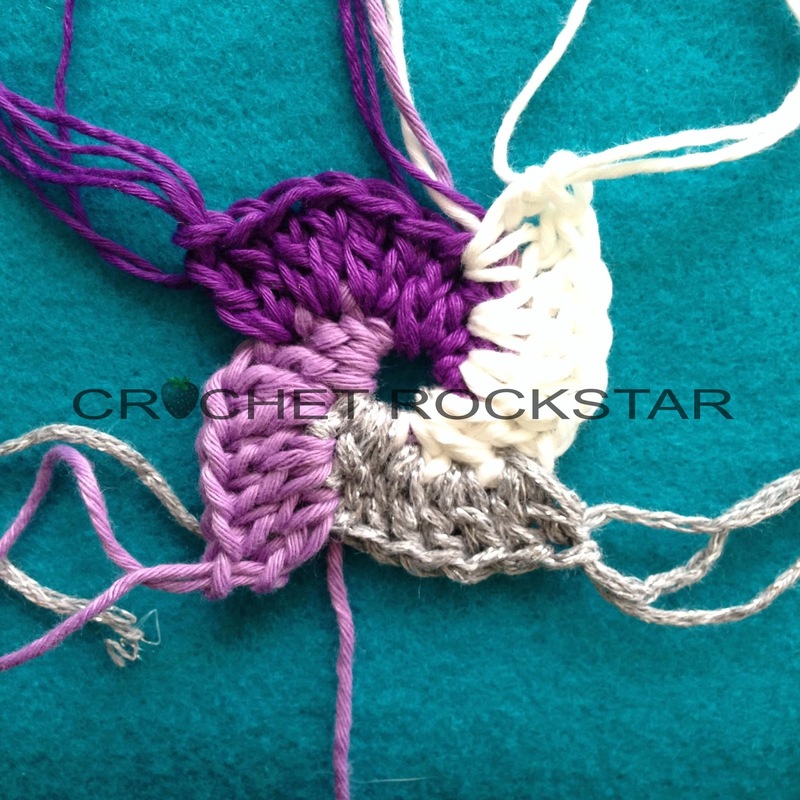 The new round start with the last color used in previous round. Place marker on the last stitch of the last round for easy stitch counting. Rnd 2: With A, 2 dc in each of next 3 st; Repeat in the same manner with B, C and D. (24 st). Cut all the yarns if you decide to stop and use this as an applique. Sew all ends to finish. 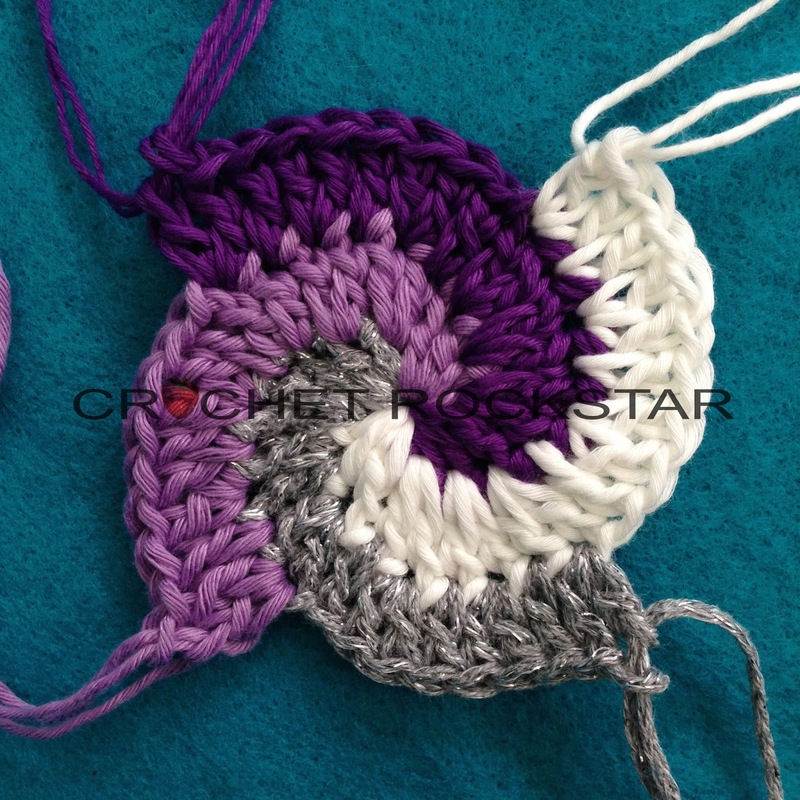 Here are some pictures of spiral crochet arts to inspire you. And my favorite is this shawl by Rensfiberart. Show me what you have made with this design. 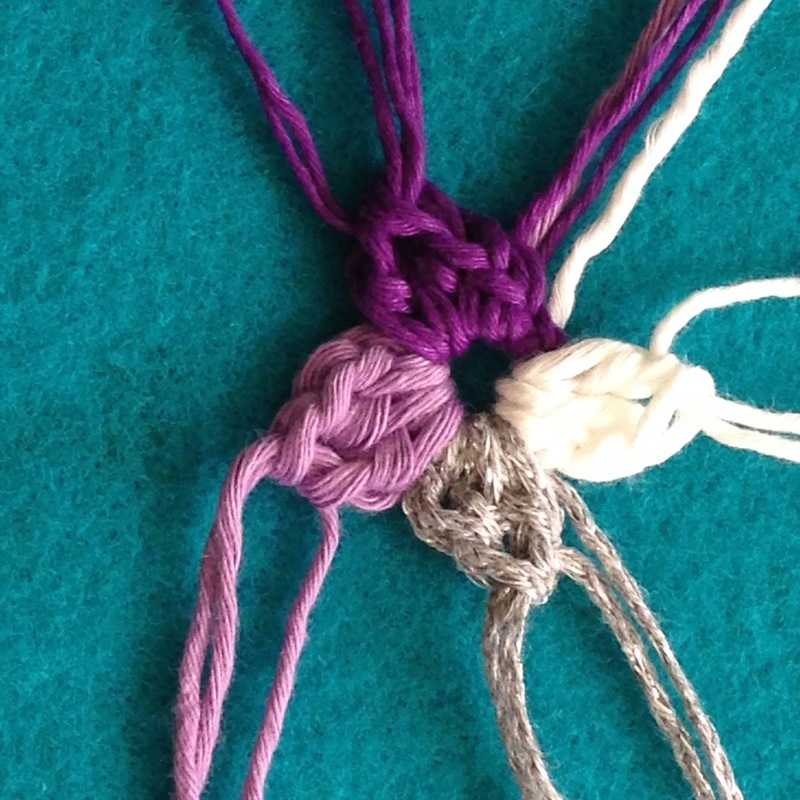 Thanks for viewing and happy crocheting. Hello all… I am back. It is hard to update blog while you are on vacation because there are too much interruption or should I say attractions going on hehe. 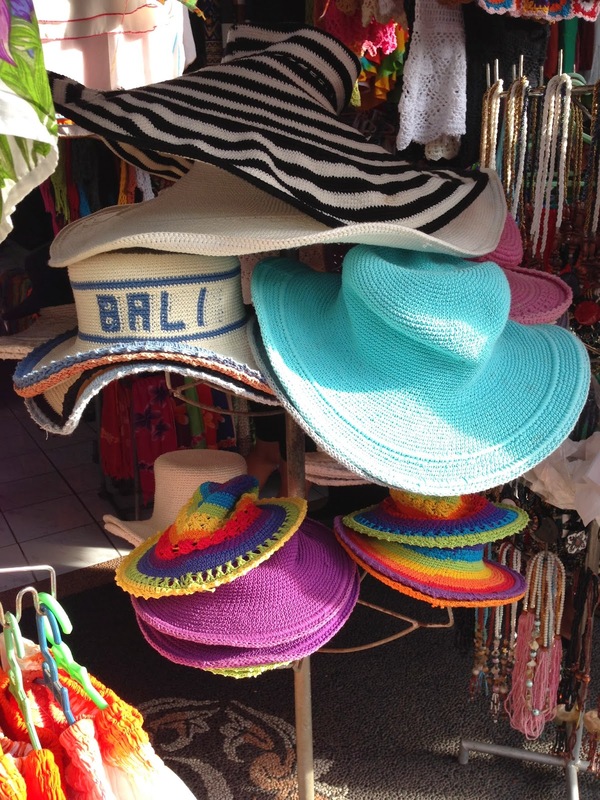 Here are my souvenirs to you from Bali in pictures. Some are crochet related and some are photos from the places we visited. According to the info I have, there are only 4 national spinning industries left in Indonesia out of original 10. One of them located in Gianyar. I was told that there was one in Denpasar but the factory was closed and I could not go back to Gianyar to see the actual spinning work in progress because of time constraint. 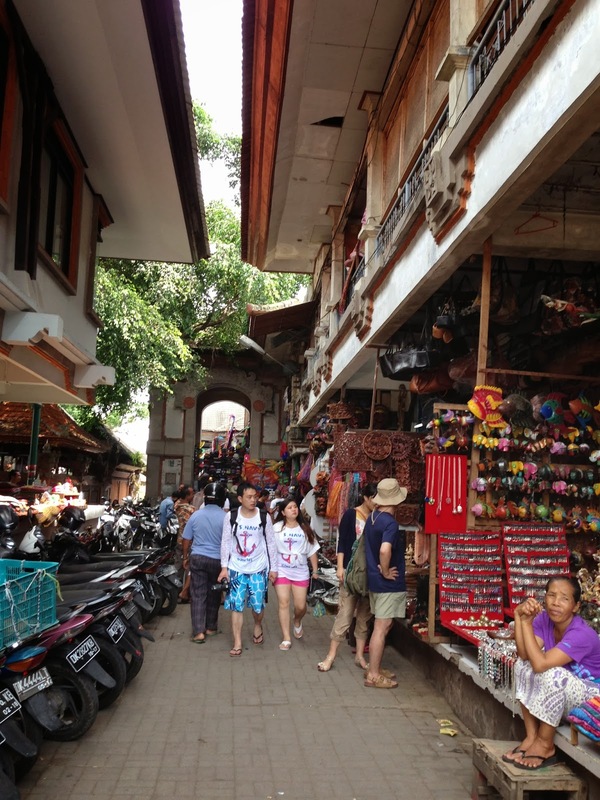 Nevertheless I found the yarns were sold in craft shop like Toko Central in Kuta and in many places even outside Bali. 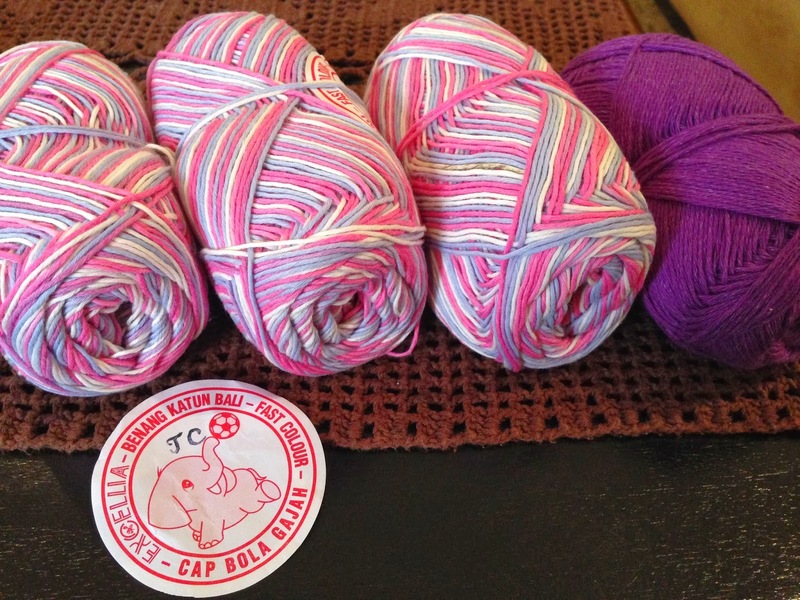 The cotton yarns in the pictures below are available in many colors but only in one size (Sport/Size 2). It is not as shiny as the other Balinese Cotton Yarn but is very soft and squishy and didn’t split when crocheted and is suitable for baby apparels. Laying next to it is the label that was attached to it. 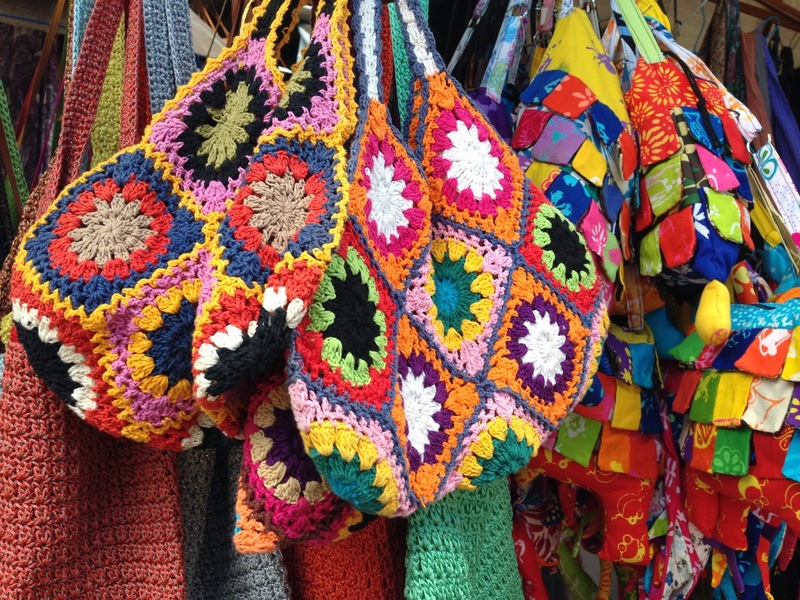 Above and below are crocheted bags and afghan for sale in the market in Ubud. 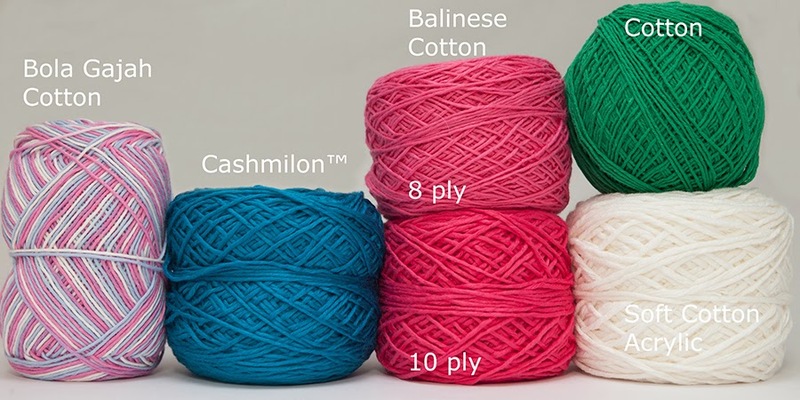 There are many different type of cotton yarns produced in Indonesia. 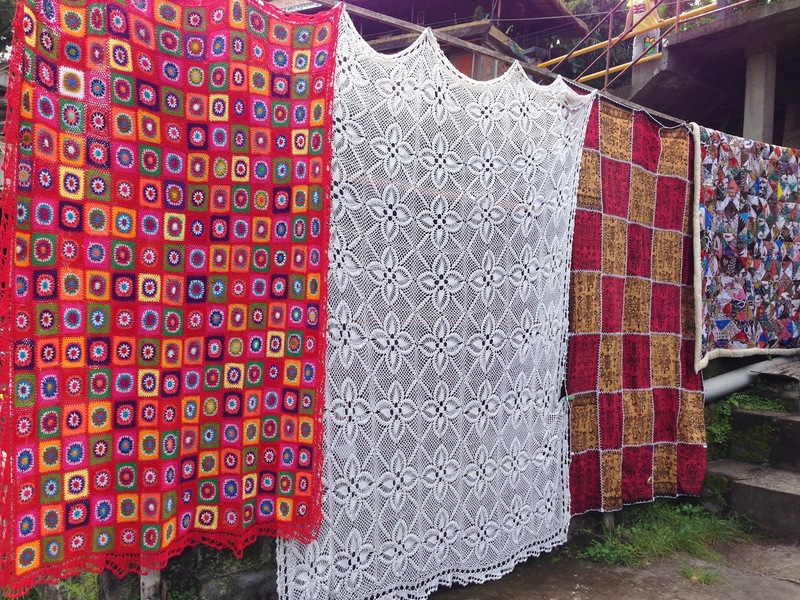 All the crocheted item you see in the pictures in this post are mostly made of Benang Katun Lokal (local cotton yarn). The name might sounds strange but that is just how the Indonesian people call their yarns and if you look for them by any other name you will not find what you are looking for. 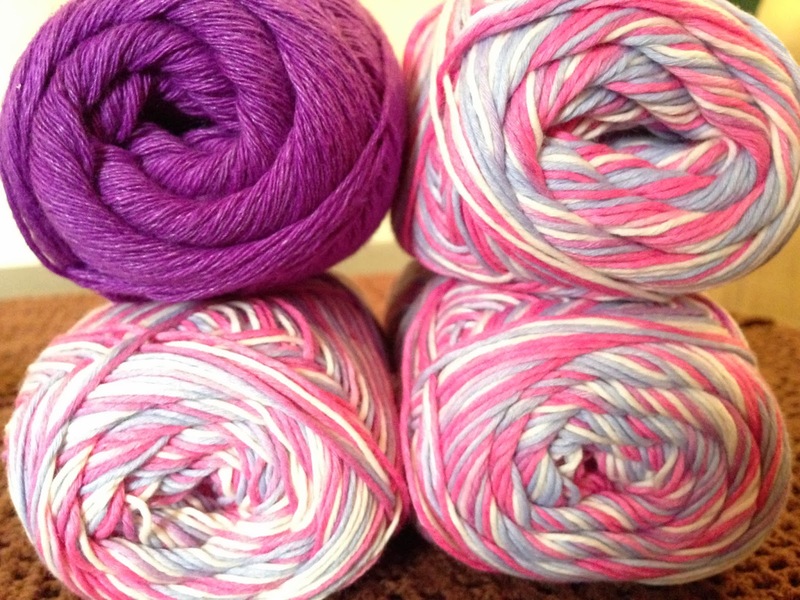 The texture of this yarn is very similar to Lily’s Sugar and Cream cotton–rough and dry. 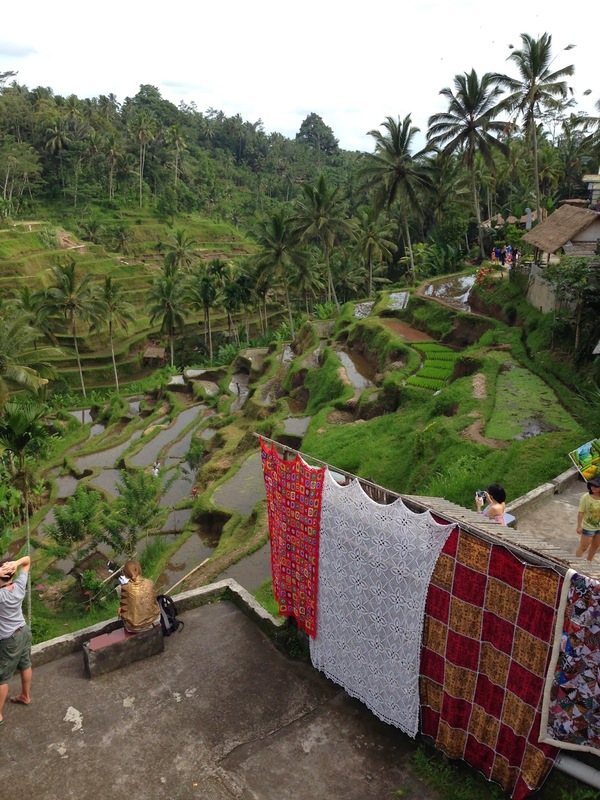 If you travel further to the north from Ubud toward Tegalalang you will find several rest area with restaurants overlooking the rice fields below. 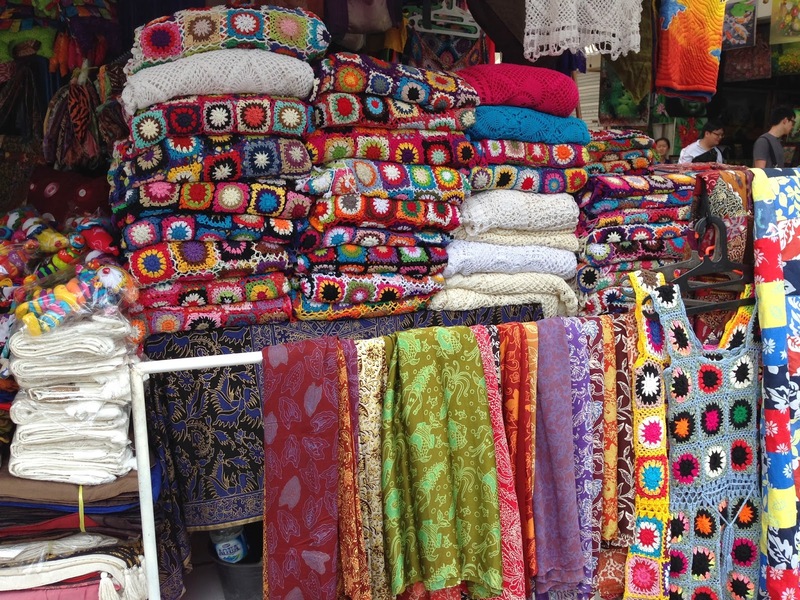 Along the streets there are several craft shops selling crocheted items as seen below. These blanket are big, I think it would fit a king size bed. I asked for the price and the seller asking around US$50. Unbelievable! It would take me a year to do that. 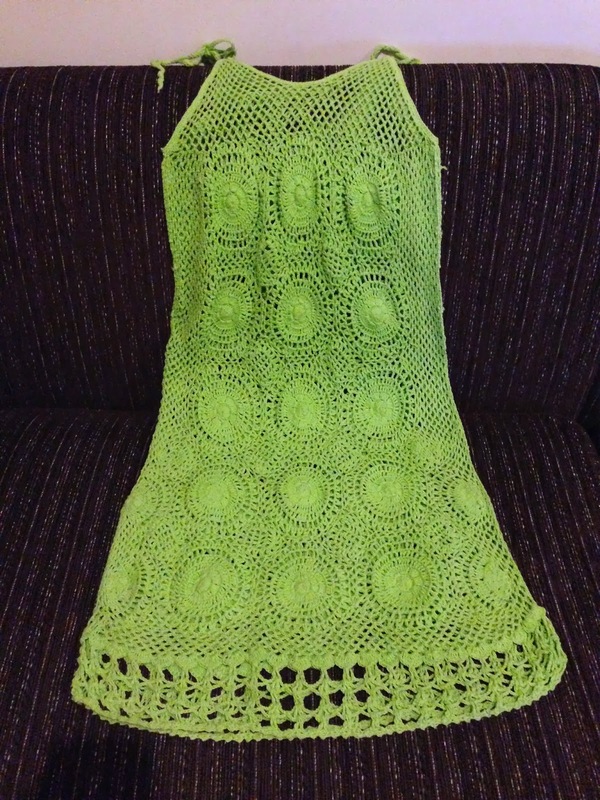 A dress made of local cotton). I can’t resist not to buy one of these hats so I purchased the purple one. 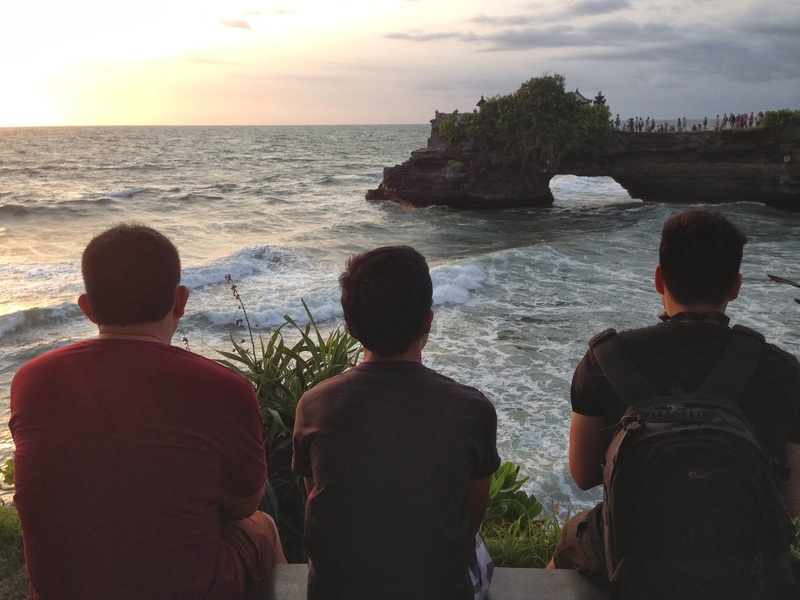 Waiting for sunset in Tanah Lot. Look at the crowd on the bridge in the background. 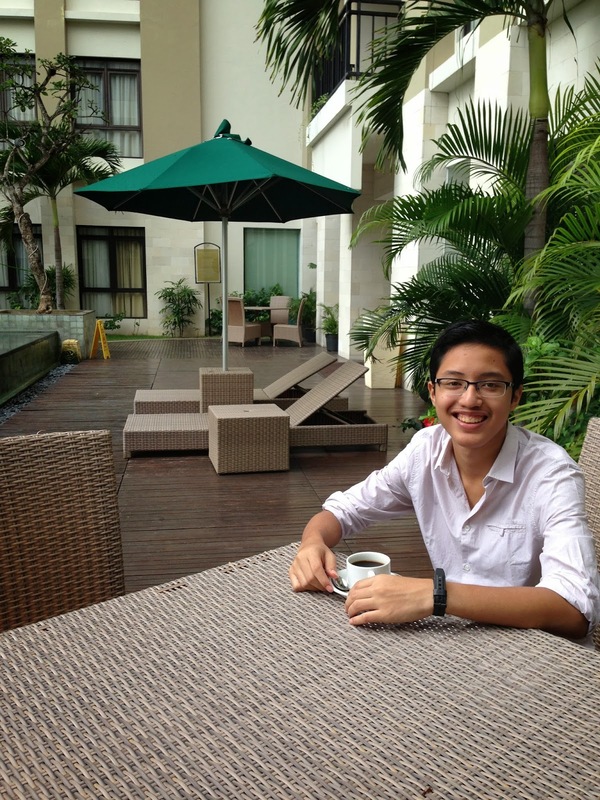 My son enjoying his cup of coffee at Grand Kuta Hotel and Residence. A cafe inside the Agung Rai Museum of Arts. The museum is a great place to visit for art lovers, collectors and artists. 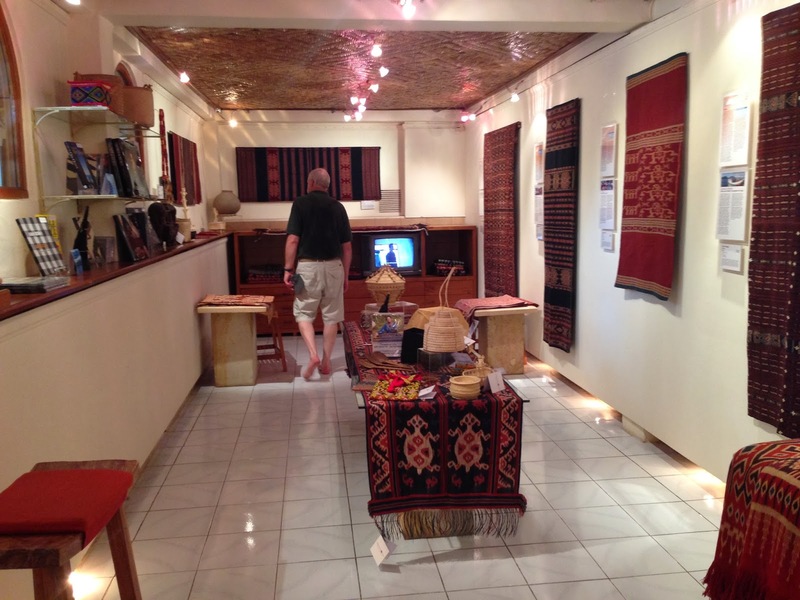 Above is the Thread of Life’s gallery in Ubud. 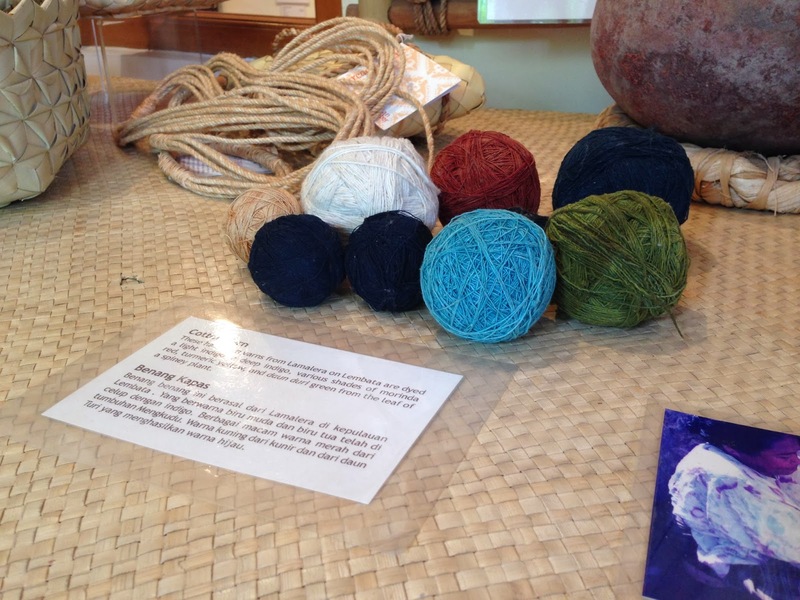 Threads of Life uses natural dyes in their yarns productions. 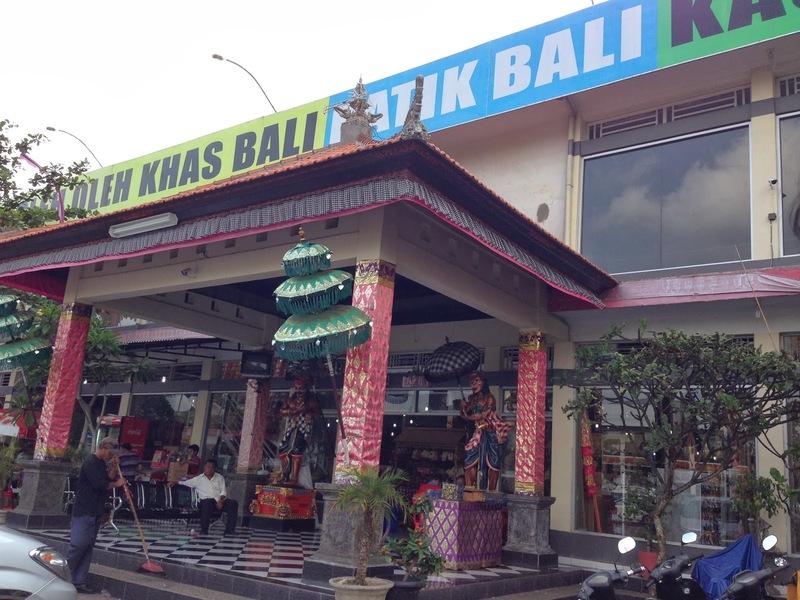 The picture above is Krisna gift shop selling items from aromatherapy oils and soaps to woodcrafts, batiks, sweets and famous Balinese salty peanuts. I like shopping at Krisna because of the fixed and reasonably price thus save time. Krisna has several branches so check the link above to find out the shop near you when you happen to be in Bali. 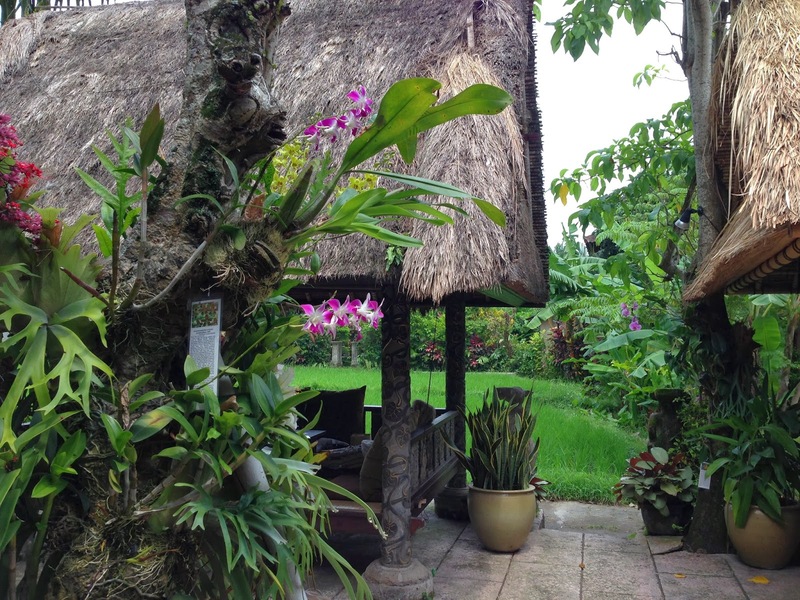 Bali is the smallest province in Indonesia with majority of the inhabitants are Hindus. Only small percentage are Muslim lives in Bali. 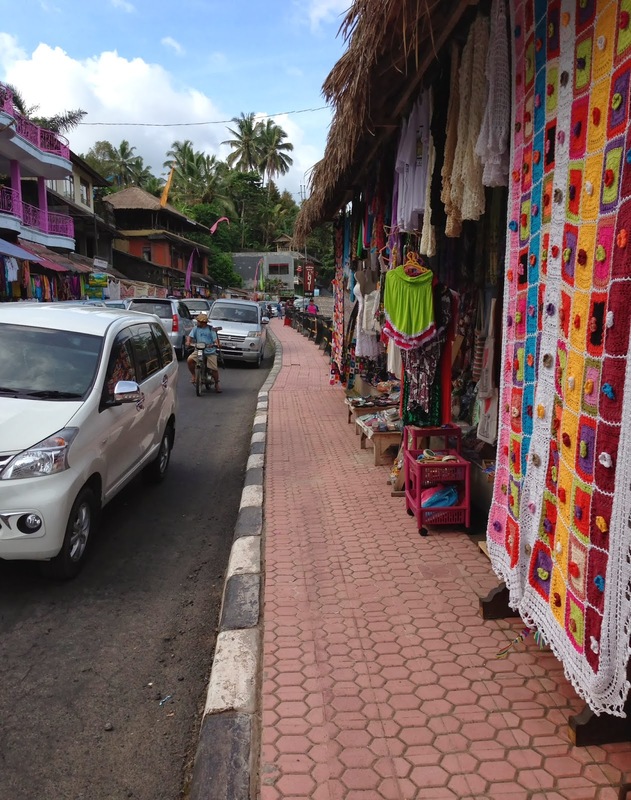 We visited Bali from time to time and have seen some developments in the availability of halal restaurants. However, finding masjid is still difficult if you are outside Denpasar and Kuta area. A few friends decided to pray anywhere including in the local market between shops or next to her parked car, while other friends suggested they go to Padang restaurants to pray. Padang restaurants are run by Muslim people from West Sumatra province. Krisna gift shop above also provides the prayer room on its 2nd floor. Check this link for more info about the hotels with halal restaurants in Bali. Other restaurants we went were Pawon Pasundan (Sundanese), Jl. Kediri No. 2, Tuban and Ayam Taliwang Bersaudara (grilled country chicken and steam kangkung with chili and tomatoes paste). Jl. Raya Kuta 89. Balinese food are very tasty, and seafoods are also among our favorites.